Reduces friction and provides sound management, squeak and rattle prevention, noise reduction. 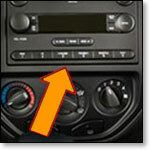 Used to eliminate or minimize squeaking in several areas of the vehicle interior. Also commonly referred to as anti-squeak tape or squeak reduction tape. Provided in self-wound rolls with a water-based acrylic adhesive. Available in black only. PVC Foam tape provides an air and watertight seal and retains durability and compression recovery through repeated open and closing. Inherent fire retardency and UV (ultra-violet light) resistance makes it a superior sealing tape. Self adhered squeak reduction tape has an easy to peel liner that is cast onto the foam rather than the adhesive. Simply unwind to expose the adhesive side and apply gentle pressure to stick. Acrylic adhesive can take up to 72 hours to reach its maximum bond.